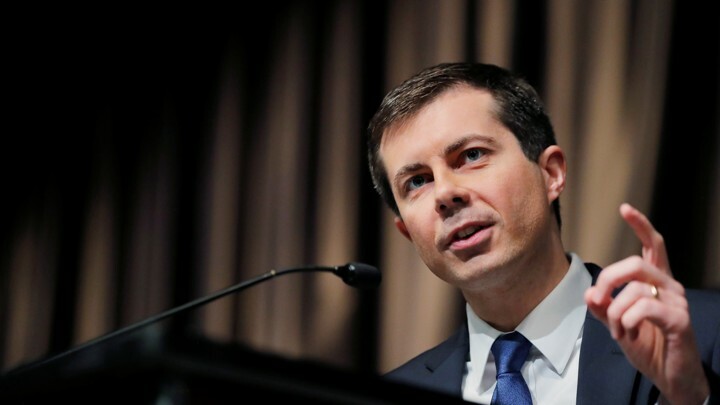 Pete Buttigieg speaks eloquently for his faith, but he shouldn't be mistaken for the whole religious left. Progressive Christians don’t get as much attention, news coverage, or credit for their activism as the Religious Right. Despite numbering in the millions and being deeply embedded in movements for justice across the country, the Religious Left still seems a mystery to many, and perhaps especially to the media. So I shared an optimism and joy at seeing this morning’s Atlantic coverage of Democratic presidential candidates’ faith on display…until I finished reading. Where this coverage falls short for me is in missing the opportunity progressive Christians provide: to move beyond the limited understanding of Christianity that the Religious Right offers, and to point to the broader range of issues and the wealth of diversity that complicates but undoubtedly strengthens our ranks. Both interviewees quoted as experts on the Religious Left in this piece were white Christian men. We need coverage of progressive people of faith to more accurately reflect the diversity of our movement. Acts of anti-Semitism, anti-Muslim bigotry, and anti-Black racism targeting Black churches are rising in our nation. Coverage of progressive faith must center those communities for exactly this reason. Indeed, interfaith groups are begging for acknowledgement of and action on the rising tide of White Nationalism and its horrific impact on religious minorities and people of color. Coverage of a religious left must reflect these efforts. And, while abortion may be the unifying issue for the Religious Right, we must resist coverage which suggests that it tears progressive people of faith apart. Not only are millions of people of faith in support of abortion rights and justice, but we have a deep obligation to raise the varied and critical justice issues of our day without getting drawn into the false narrative about abortion as the issue that defines faith communities’ political engagement. What about children in cages at the border, the ongoing battle to expand healthcare to all, and the urgent need to fund and defend the integrity of the 2020 census, just to name a few? Progressive Christians and their interfaith allies are in these fights every day, and I desperately await more coverage of their work in pieces recognizing a religious left. As you prepare to get involved with and support campaigns, investigate how they are engaging people of faith and encourage them to invest in outreach to religious communities - including prioritizing outreach to Jewish, Muslim, and other non-Christian communities, as well as houses of worship in communities of color, low-income communities, and immigrant communities. Make us bolder in seeking out your goodness in others, in subverting the power of the status quo, and in demanding the witness our movements for justice deserve. May we always resist the temptation to put our own face and image on the divine, and may we follow the leadership of the most vulnerable among us in seeking your true likeness.